You believe correctly, Miles! You're up next. A cast member of "The Philadelphia Story" was married to a cast regular in MGM's Hardy family series. "The Philadelphia Story" cast member also had a brother who was a cast member of TV's "The Real McCoys". Who are these three people? David Clyde was married to Fay Holden who played Mrs. Hardy in the Andy Hardy films. 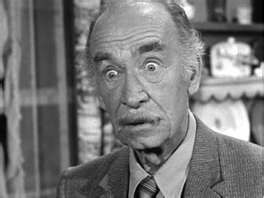 David Clyde played Mac in The Philadelphia Story, his brother was Andy Clyde who played George in the tv show The Real McCoys ??? 100% correct, Lavender. The Clyde brothers were originally from Scotland. Fay Holden was from England. Good work, Lav. It's your turn now. This actress was served divorce papers while on the set of a film she was starring in. She was married to a famous man. 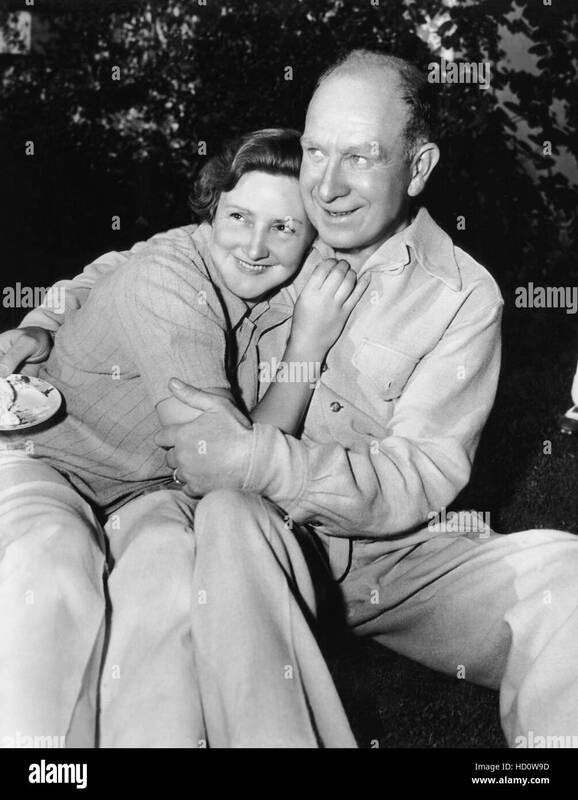 Actress and the famous man and what was the film she was working on at the time??? If I remember correctly, Mia Farrow was served divorce papers while making Rosemary's Baby when she was married to Frank Sinatra. Once upon a time, a legendary actor was offered $4 million and his choice of roles to be in this movie. He could play the title role, the bad guy, or the father. The actor wasn't interested and turned down the movie. Name the movie and the legendary actor who wasn't in it. The movie just had it's 40th anniversary. With that last clue, I guessed "Superman" was the movie. A little research finds that it was Paul Newman who turned down all that money. You are correct Miles. Your thread. The producer's original choice to play the young boy in "Shane" was not Brandon De Wilde. Who was it? The boy would later be a regular in a TV series. Total guess but he was my favorite Lassie owner , Tommy Rettig? Sorry, Princess. However, this boy also worked with a dog on TV. Miles, this is as far back as I can go. My brother had a Fort Apache set which was modeled on the "Rin Tin Tin" show. It had little plastic replicas of Lee Aaker and Rin Tin Tin. Is Lee Aaker the child actor you're looking for? Yes, Princess. It was Lee Aaker, who was a very busy child actor in those years. Besides "The Adventures Of Rin Tin Tin" on TV, he was in several movies including "Hondo" where John Wayne plays sort of a Shane-like role model for the boy. Here he is as corporal Rusty. 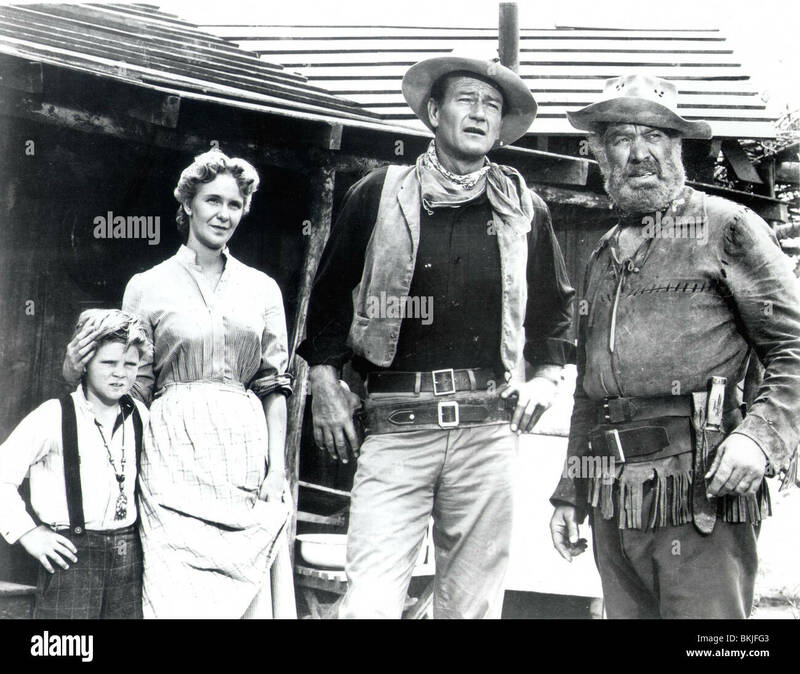 Here he is with Geraldine Page, John Wayne, and Ward Bond in "Hondo". 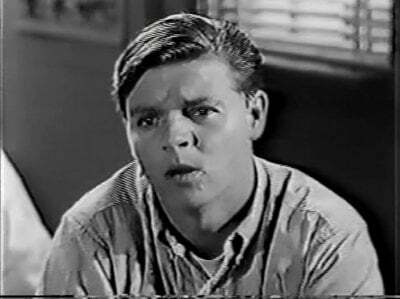 As a young man, he appeared on an episode of Mr. Novak, but his acting career was almost over. Nice work, Princess. You're up next. This actress/ singer was the mistress of one of Hollywood's greatest moguls: Which may have had something to do with a few of the substantial roles she had in several "A" Hollywood movies in the 50s and 60s. However, the Performing Artist was better known in her home continent of Europe, where she was prominent in avant-garde art and philosophical circles, in addition to acting in European movies. When you identify this actress and the mogul, also list a couple of her movies from both continents. Hint-- This actress was more famous as a singer in her home European country. Hint#2-- She had a featured role in one of those Ernest Hemingway movies. 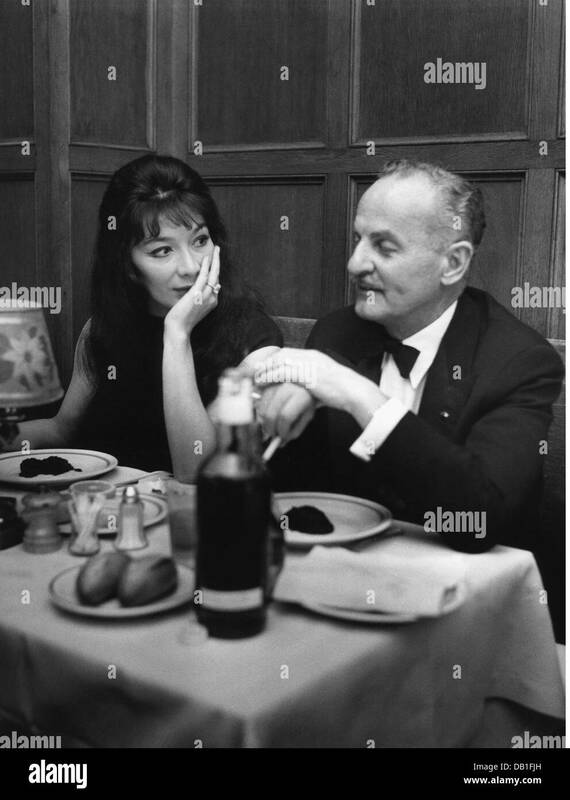 I believe that would be Juliette Greco, who was a French singer and actress. 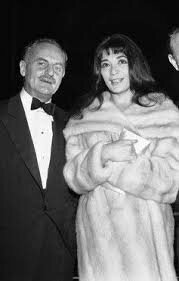 She was one of several "proteges" in the career of Darryl F. Zanuck. She was in "The Sun Also Rises" and "The Big Gamble", as well as European films like "The Roots Of Heaven" and "Crack In The Mirror". Zanuck was some twenty-five years her senior. Vive La France! I can taste those escargots right now! Juliette was not only one of France's greatest interpreters of the French chanson; but she was also the Muse for the legendary intellectual existentialist movement starring Jean-Paul Sartre. How she ever found time to capture the heart of a Hollywood mogul and become an actress in Hollywood, I don't know. But I do know this. Miles, you are "formidable". That's just a big French word for terrific. I was going to save this question for the Hitchcock thread, but I'll ask it now. A character in a well known Hitchcock movie has the same name as a character in a series of later horror films. The Hitchcock film is completely unrelated to the horror films. Can you name the films, the character name, and the folks who played those characters?